Counterfeit goods are not the only thing keeping bona fide brands from partnering with Amazon; its growing number of private collections is also a point of concern for fashion brands and luxury labels, alike. 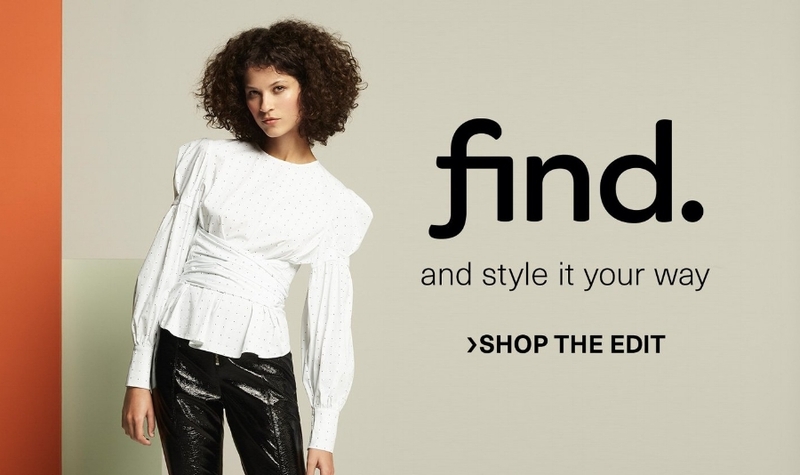 Take Find., for example, the fast fashion-oriented line that the Seattle-based e-commerce giant rolled out this fall in Europe. Among the 500 offerings in the debut Find. collection: Boots that are dead-ringers for Balenciaga, jeans that are a cheaper version of an Off-White style, heels that could be Celine, and no shortage of garments that look a whole lot like Vetements ones. The site "drops" new pieces each week. The inception of Find. – which joins 40 other Amazon private labels, 29 of which are apparel/fashion related – puts Amazon in an interesting predicament, at a time when the e-commerce marketplace is simultaneously working to woo the fashion industry in an attempt to expand its offerings of third-party partners. On the partnership front: Amazon has recently joined forces with Calvin Klein late last year to debut and exclusively offer an array of Calvin Klein undergarments. Before that, CEO Mark Parker confirmed Nike and Amazon were testing out a partnership. Mainstream fashion brands like Michael Kors, Kate Spade, and Rebecca Minkoff round out Amazon's other offerings. As for whether Amazon will be able to find additional brands to add to its roster in 2018 is an interesting inquiry, one that has largely centered, at least to date, on the widespread availability of counterfeit goods being offered on the Amazon site and brands’ unwillingness to cooperate with a company that, as Mercedes Benz’s parent company Daimler AG, and Birkstensock, both recently put it, actively fails to police its platform for fakes. What has not been given enough attention is the treat that Amazon’s burgeoning private label business poses to its appetite for building fashion industry partnerships. Amazon has not-so-secretly (anymore) been working to develop its own in-house collections (it currently boasts 41 private labels, 29 of which are apparel/fashion related), such as fast fashion line, Find. And according to L2 Digital, these lines are gaining traction amongst consumers, particularly in light of the current retail environment, when brand loyalty is low, consumers are overly price/value conscious, and branding is simply not as significant a player as it used to be. It is within this landscape that private labels are positioned to thrive. For instance, Amazon Essentials accounts for 3 percent of Best Sellers across all clothing categories on the Amazon platform, beating out adidas, Nike, and Calvin Klein. Of the other private-label collections for which Amazon is responsible, three of the top nine fastest-growing brands in the first half of 2017 were in the fashion department. The Scout + Ro kids' line jumped 542 percent year over year (and brought in about $10 million in sales as of October 2017), while the Franklin & Freeman men’s shoe line rose 153 percent. Finally, women's apparel line Lark & Ro – which boasted sales of $10 million as of October 2017 – saw gains of 84 percent, according to a 1010data study published in August. Aside from the numbers at play here, brands should be conscious of another aspect of Amazon’s in-house operation: Amazon’s practice of “looking at top-performing products and making its own to sell at a lower price. There are even small sellers who report that Amazon works with their factories,” per Digiday. Should fashion brands decide to make their products available on Amazon, they could very well become prey in this effort. And why, after all, would a brand agree to partner with a retailer knowing that its wares are being (or will likely be) copied and sold for a fraction of the cost on the same exact website? While brands’ larger fears of Amazon becoming a real player in the high fashion and luxury market have been largely allayed by at least some analysts swearing off of Amazon’s ability to rival big brands, that might not necessarily be true in the long run, given Amazon’s proven ability to put forth disruptive products and reach a truly enormous audience, including 310 million-plus active customer accounts, among other strengths. The question remains, however: Will Amazon be able to continue to build out its own offerings while courting the favor of third party brands? We, for one, will be keeping tabs. * This is the second in a series of posts detailing Amazon’s attempts to break into the fashion and luxury markets, and where the e-commerce giant is succeeding and falling short.